We believe that children need to learn about the environment and the importance of taking very good care of the world right from the start. It helps to develop sustainable patterns early and to initiate conversations at home to improve the understanding and practices in all aspects of their lives. 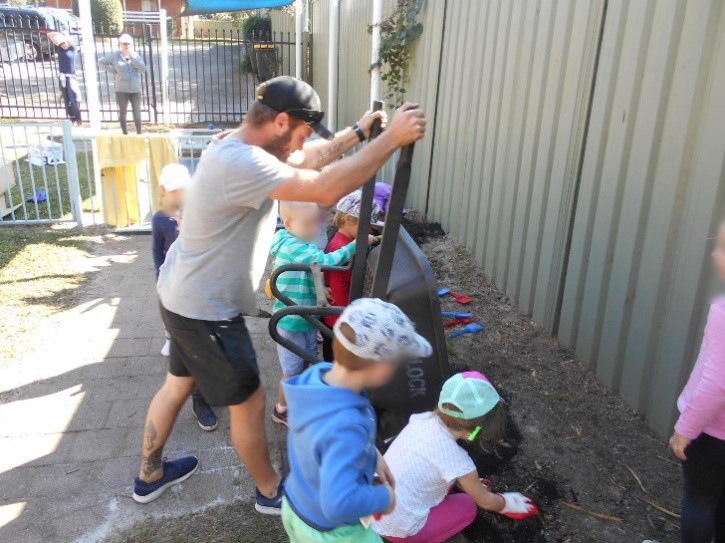 The children at Hastings Preschool and Long Day Care Centre learn how to conserve energy, water and resources and are becoming good recyclers. Educators explain why we turn the taps and lights off and why we recycle. We discuss what we can recycle and what we can’t in our day to day routine. Conversations lead to projects that cover the importance of looking after our planet. 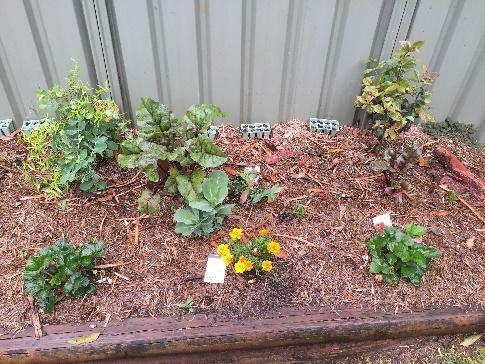 We have significantly reduced the amount of plastic in the centre and use natural materials whenever we are able to. 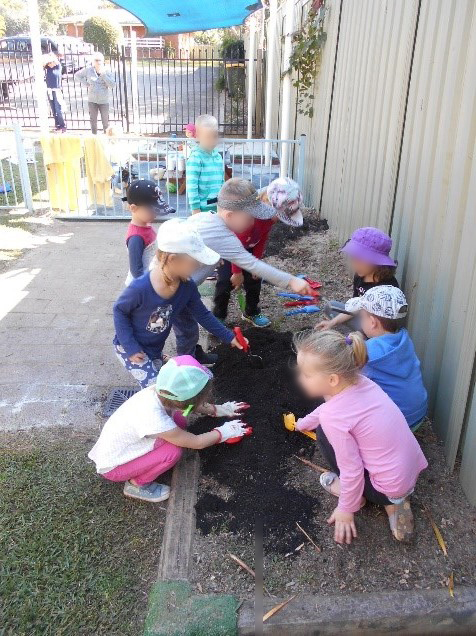 With the help of an enthusiastic parent the children became involved in designing a vegetable and bush tucker garden, having input into all aspects of the garden including the plants that went into it. 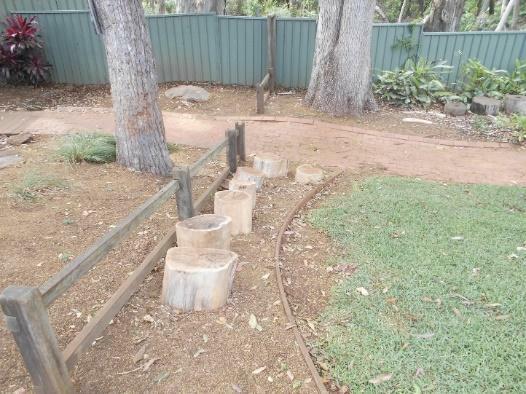 We use a natural compost system which helps reduce our waste while feeding the worms and fertilising the garden. Children are involved in watering and weeding the garden and will remain part of the process to the harvesting, preparing and eating the food. 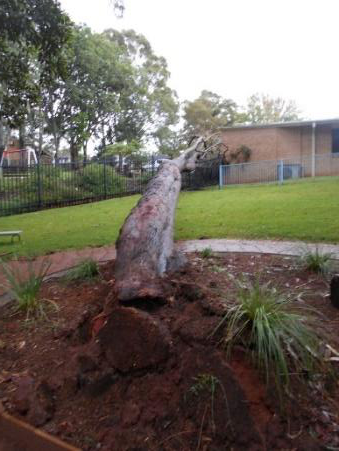 When a massive gum tree fell near our playground the children were able to observe the process of repairing the damage, ensuring the stability of other trees in the neighbourhood and utilising the timber from the tree that fell. 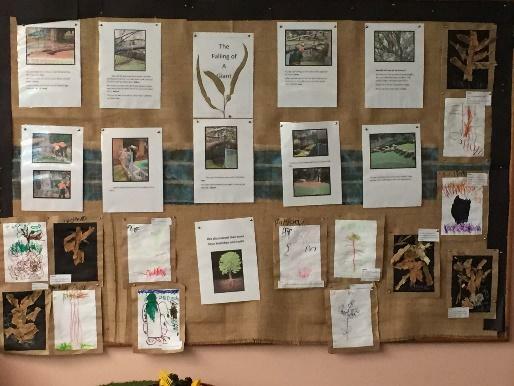 A mass of topics ensued from this including research into how trees stay upright, why trees sometimes fall, things that are made from timber including paper. 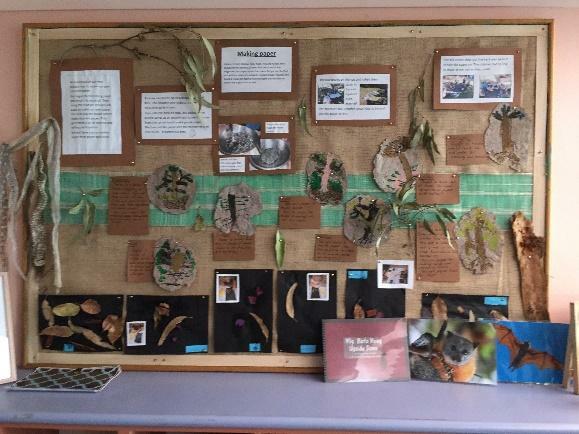 We explored the over use of paper and how it affects trees and the environment. We also made our own recycled paper with the learning centred around the reasons why recycling is very good for the environment.